On April 27, a ceremony in honor of Workers’ Memorial Day was held on the steps of the State House in Boston. Each year, Workers’ Memorial Day is set aside to remember those who lose their lives on the job. This year, however, the day also saw the release of a new study by the Massachusetts Coalition for Occupational Safety and Health (MassCOSH) in cooperation with the AFL-CIO, which identified 74 worker deaths in Massachusetts from January 2017 to March 1, 2018, marking an 11-year high in workplace deaths in our commonwealth. WorkersCompensation.com explains the history and details of the 32-page report. Some selected details of concern include the fact that 74 deaths in Massachusetts amounts to a fatality rate of 2.1 for every 100,000 workers, the highest rate per year in over a decade. 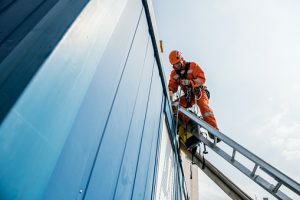 Fatal accidents occurred most often in the construction industry, which claimed 21 deaths – a full third of the total workplace fatalities for the year. While the construction industry provided the most common setting for worker deaths, transportation was the most common cause. There were 31 workers killed in transportation incidents last year, including nine workers struck by vehicles and two fishermen who died at sea. One major factor in transportation deaths last year was a lack of seatbelt use, which contributed to a significant number of those 31 deaths. It is incredibly difficult to monitor the safety of our workers as well as employees deserve in our current environment. With only 29 OSHA inspectors in the commonwealth, working under a system that is actively turning against workers on the federal level, it is impossible for them to visit every work site quickly and effectively enough to protect every worker. The report, however, outlined plans that could help, which includes the passing of two different bills already in existence which put much more accountability on employers to maintain and report on worker safety. We will continue to monitor changes to the federal and Massachusetts laws and how they impact your rights as a member of our great workforce. We urge our lawmakers to take these 74 lost lives as a wake-up call and act to protect the people who keep our society and economy running. Already, we have seen the passage of state laws that extend OSHA regulations to the public sector, update corporate manslaughter laws, and protect pregnant and nursing mothers in the workplace. We are moving in the right direction, but we need to do more. Until every worker is protected from workplace injury, we will continue to fight for the rights of those hurt or killed on the job. Contact us today to learn how we can help you. This entry was posted on Friday, June 15th, 2018 at 7:05 pm and is filed under workers' compensation. You can follow any responses to this entry through the RSS 2.0 feed. Responses are currently closed, but you can trackback from your own site.